A new study published in the journal Pediatrics reveals that more than eight out of 10 individuals have admitted to “sexting” over the past year—indicating that this practice could be more popular worldwide than previously thought. Researchers define sexting as sending or receiving sexually explicit or sexually suggestive text messages from a mobile device. The study sets out to investigate the role that sexting plays in current relationships based on its negative and positive implications. Study researchers surveyed a total of 870 people from the U.S. between the ages of 18 and 22. Half the participants were female and 26% said they were single. Researchers asked each participant about their sexting behaviors, including motives, relationships, and sexual satisfaction. Researchers discovered that 88% of participants had sexted at least once at some point in their lives and 82% of participants had sexted at least once in the past year. The majority of sexting was associated with committed relationships; 75% of participants reported that they were in a committed relationship when sexting compared to 43% who reported they had sexted as part of a casual relationship. Sexting was also associated with greater sexual satisfaction along with relationship satisfaction. Participants who sexted the most stated that the practice was fun and considered it a key aspect to the relationship. 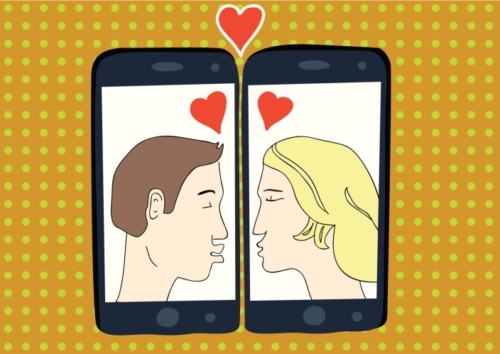 Researchers concluded that there appears to be a strong relationship between sexting and relationship satisfaction. “How Common Is Sexting?” American Psychological Association web site, August 8, 2015; http://www.apa.org/news/press/releases/2015/08/common-sexting.aspx. McIntosh, J., “Sexting may boost relationship satisfaction, study finds,” Medical News Today web site, August 10, 2015; http://www.medicalnewstoday.com/articles/297865.php.